The Tuscaloosa native is presently lined up with a Jan. 16 return against Poland’s Artur Szpilka (20-1, 15 KO’s). Much has changed in the heavyweight division this past year, including Wilder’s run, Tyson Fury upsetting long-reigning champion Wladimir Klitschko in November, as well as the emergence of Cuba’s Luis Ortiz, who stopped Philadelphia’s Bryant Jennings this past month in New York. Still, for Wilder, he feels there is nobody cut like him in the heavyweight ranks. 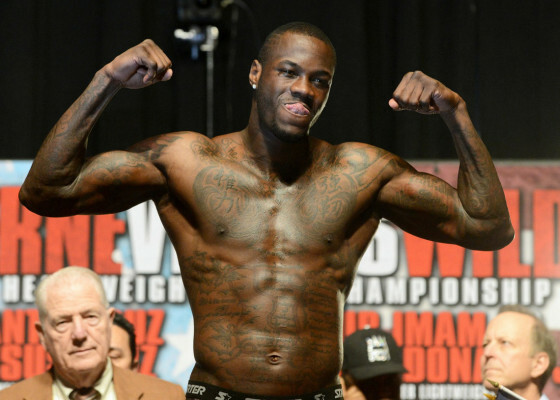 “I’m just a different fighter than these guys in the heavyweight division,” said Wilder in a recent sit-down with Mark Kriegel. Wilder is out to unify the division, and hopes to use the Szpilka fight as a springboard to greater things. Wilder faces Szpilka on SHOWTIME CHAMPIONSHIP BOXING from the Barclays Center on Jan. 16. Check below for more of his one-on-one with Kriegel.